A 21st-century learner demands a 21st-century classroom. 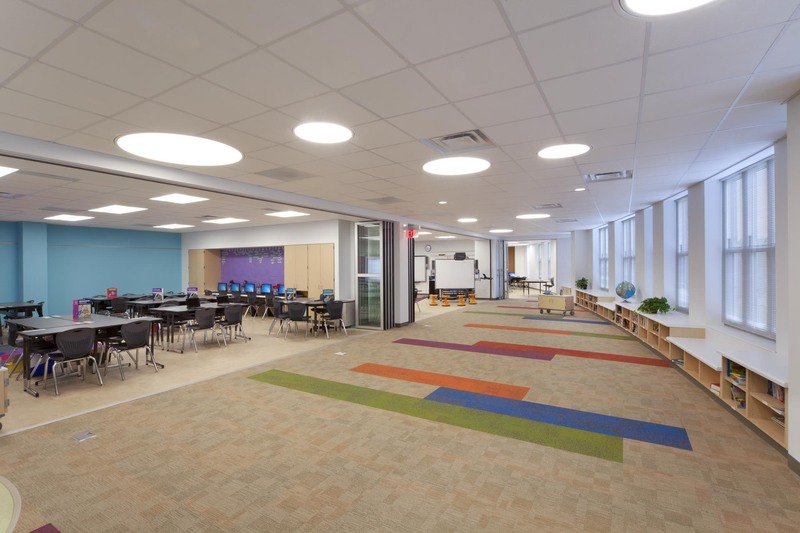 This was the challenge solved by Cannon Design for their Booker T. Washington Elementary School, a 63,000-square-foot science, technology, engineering and mathematics (STEM) academy located in Champaign, Illinois. Serving 225 students, the school is separated into three academies, each further stratified into three learning studios for each grade, which share a communal gathering space. The NanaWall SL45 partitions allow each learning cluster to maximize the communal gathering and project workspace – what Canon Design calls a “piazza for discussion and collaboration.” The open-plan layout is also meant to mirror professional settings. When the SL45 is closed, students inhabit a traditional classroom. However, once the NanaWall is opened, students have access to a far more comfortable environment. 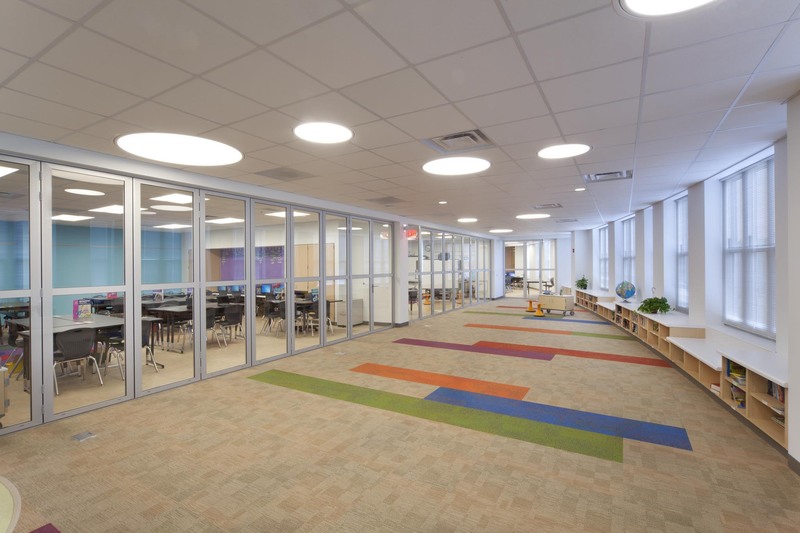 The NanaWall operable glass walls solve a number of issues at once that another product or system could not, according to Cannon Design: The SL45 top-hung system ensures no student will trip between the interior and exterior spaces, ideal for handicapped students. The glass and aluminum system is easy to clean. The acoustics are excellent. And NanaWall is essential for allowing natural daylight to filter into each classroom, in a space with few windows. At the Booker T. Washington school, teachers have the tools to act as facilitators, establishing the necessary foundation so students can engage in higher level questioning, problem solving, collaboration and hands-on-activities. 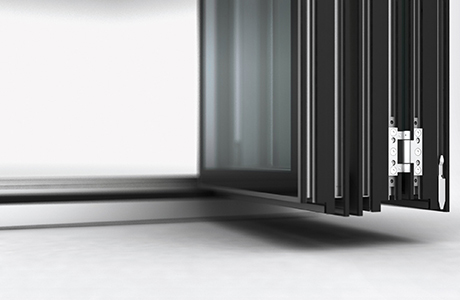 These top-hung panels are configured as bi-fold pairs, and one of the panels is outfitted with hardware for operation as a door when the system is closed. 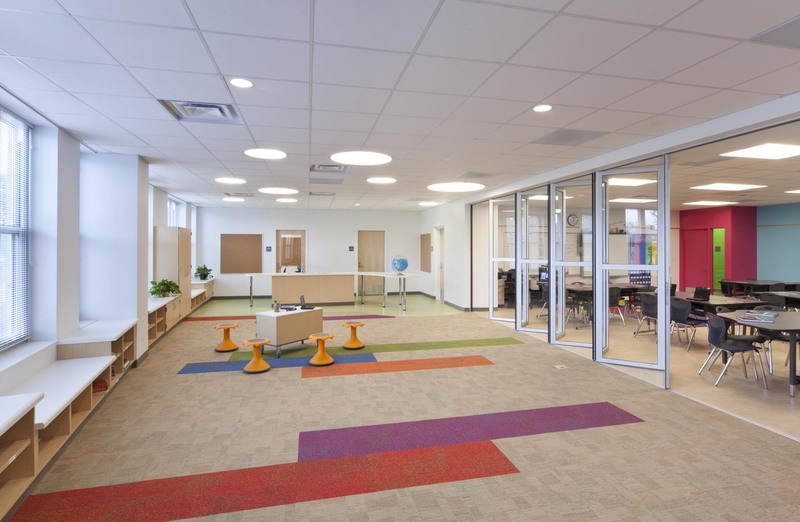 Staff, students, administrators or visitors seated on the interior side of the system enjoy minimally obstructed daylight and exterior views from the floor-to-ceiling glass of the classrooms’ exterior wall. 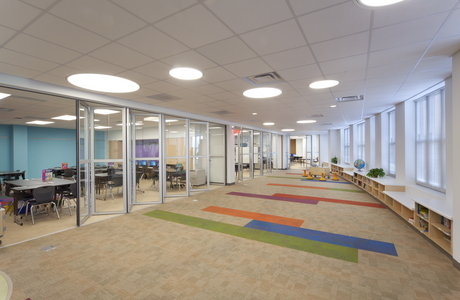 When open, the classroom space becomes expansive. 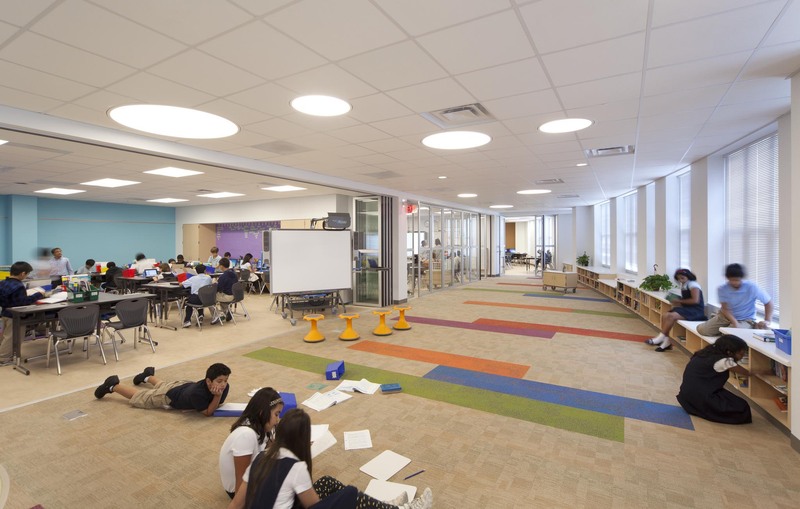 The open spaces provide an opportunity for a centralized resource location – bookshelves become project libraries – and can also be a place for all three classrooms to integrate. These NanaWalls were an ideal for the Booker T. Washington Academy, a school that garnered Cannon Design with an Award of Distinction from the Illinois Association of School Boards and a William W. Caudill Citation for Design Excellence from American School & University.